“A common mistake that investors make is not to plan their purchase. It is important to think before you put money into a property. 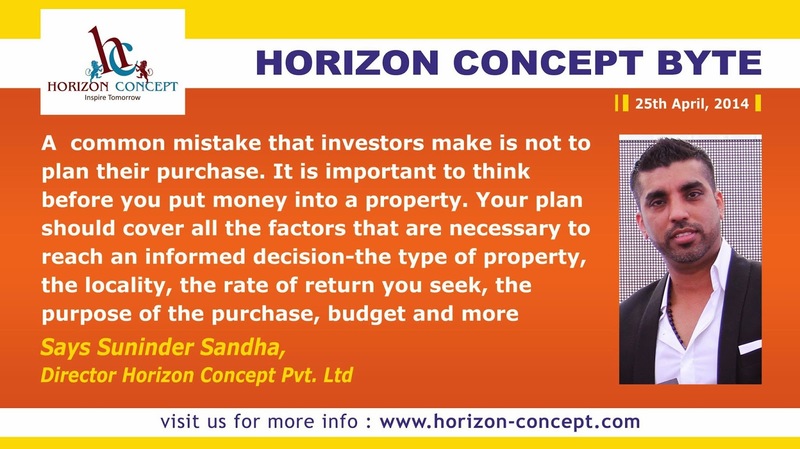 Your plan should cover all the factors that are necessary to reach an informed decision - the type of property, the locality, the rate of return you seek, the purpose of the purchase, budget and more” Suninder Sandha, Director Horizon Concept Pvt. Ltd.